Using Genuine Parts is the next best thing to getting a new Harley® and maintains optimum performance. 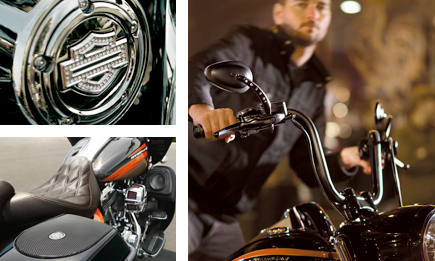 When you go genuine you're keeping your bike 100% Harley®. Customers get their parts from our dealership in Allen because they know they're getting exactly what they need without the hassle of an online search or the need for shipping. It's worth the trip from Carrollton, Richardson, Lewisville and downtown Dallas because you're guaranteed to get the product you need. Receive expert installation when you schedule a service. Please call our Parts Department at (214) 495-0259 with questions or to order your parts.